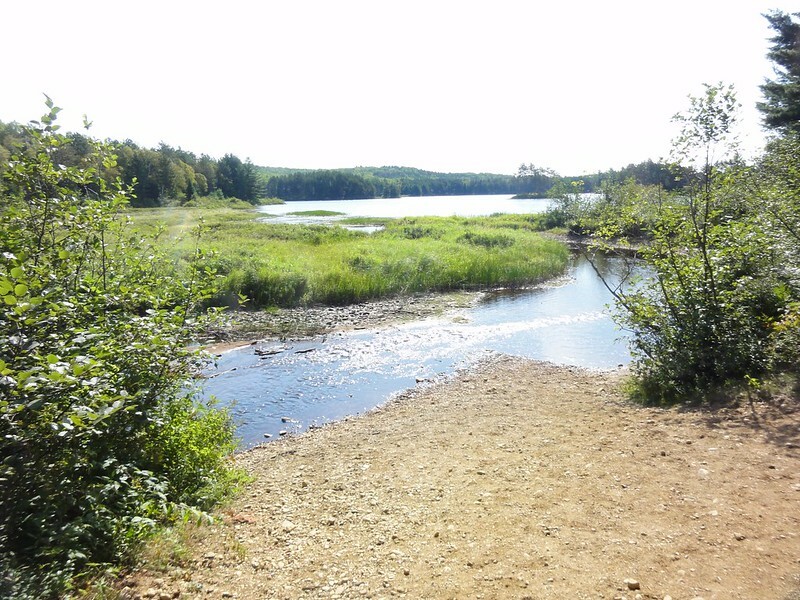 “Oh my,” the park ranger at Shall Lake said as I showed her our route. “I’ve never seen anyone do a trip like that before.” It was 10:00 am, on Friday, Sept. 6. Martin and I had just arrived, having set out from Ottawa just before 7am. She dragged her finger along the first leg of our trip, up from Shall/Farm to McKaskill. “That part alone takes seven hours,” she said sternly. I told her we could do it. And in that moment I recalled something Martin had said to me in one of our planning-over-beer-at-Irene's sessions in the spring: “I think I’d have to say my limit for portages is about 2000 metres.” Doubts crept in through my peripheral vision. 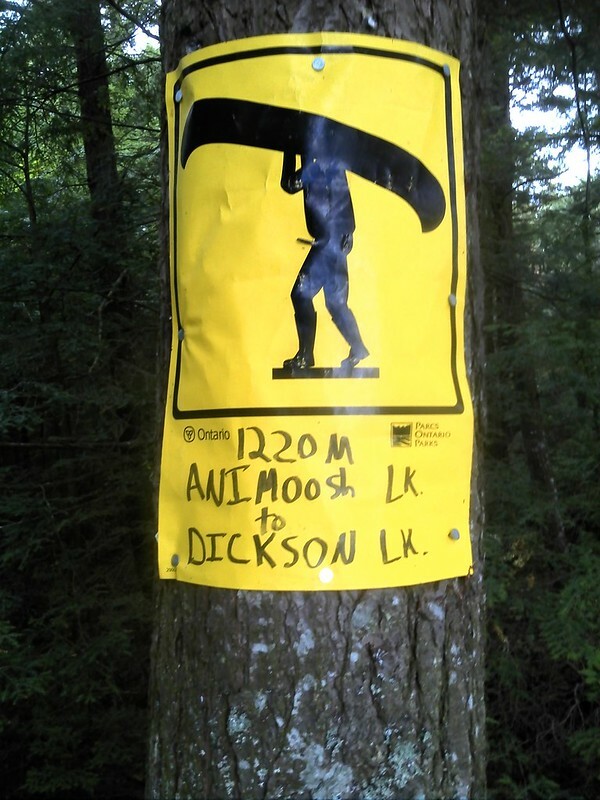 “And then you’ve got this,” she continued, pointing at the Dickson-Bonfield portage — at 5300 metres — the longest on the park map. “Oh my indeed,” I thought. What was I thinking? The fifth annual Chris and Martin fall trip. 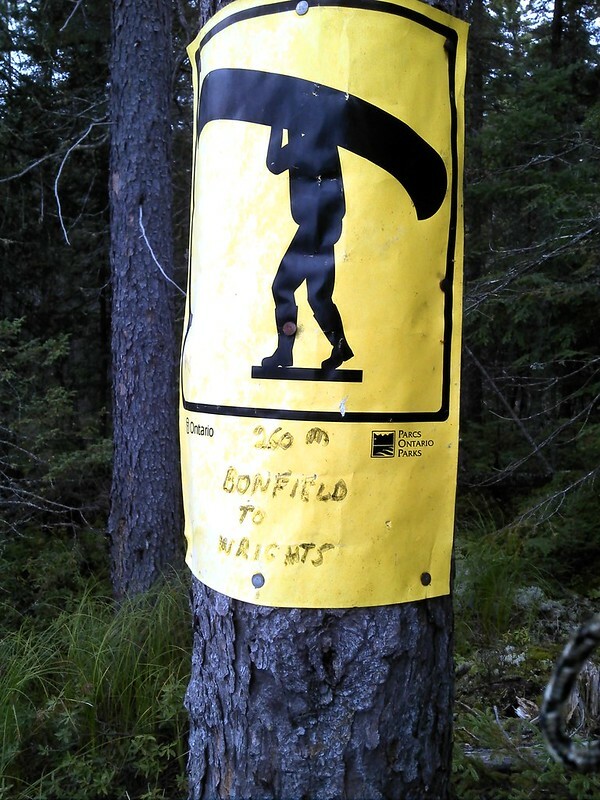 A closer destination, a walk in the woods with canoes. A short, warm and sunny day lands us on the south end's gem, Booth Lake. An even shorter day gets us back to the car, which gets us to Wilno, which takes us home. My loving partner, Irene, has been putting up with these outings for five years now and has been putting up with me even longer. I am enormously appreciative of her indulgence and support. This is not an advice site. I am not an expert. I'm some dude somewhere who thought it would be fun to schlep a canoe and 20 kilos of gear across 67km of wilderness park. For all you know I listen to Katy Perry and bash my head repeatedly against the wall while doing it. So why on earth would you take my advice? You wouldn't because you're too smart. Hire a guide, join a club or stay safe within the confines of your normal life. I don’t know what the ranger at Shall Lake was basing her estimates on but it wasn’t us. Partly telling myself as well, I’d told her I’d done this segment before and was pretty sure it didn’t take seven hours. I also told her we take the portages in one pass, which seems to make a lot of difference. “Sure, that helps, if you’re packed for it.” Which as it happens we are. I told her I’d mapped it out on my GPS. “Don’t use those. They get you lost. I have people coming here thinking they’re at Canoe Lake because that’s what the GPS told them,” she said. I reassured her I also travel with the park map. I didn’t think it was worth arguing over the difference between a Tom Tom with Highways of North America on it and an outdoor GPS with Canadian 1:50000 topographical maps on it. It wasn’t going to get us there any faster. So I smiled, waved, set any insecurities I had aside and walked with purpose to the put-in. In this our fifth year of fall trips, Martin and I decided we’d do a little less driving. 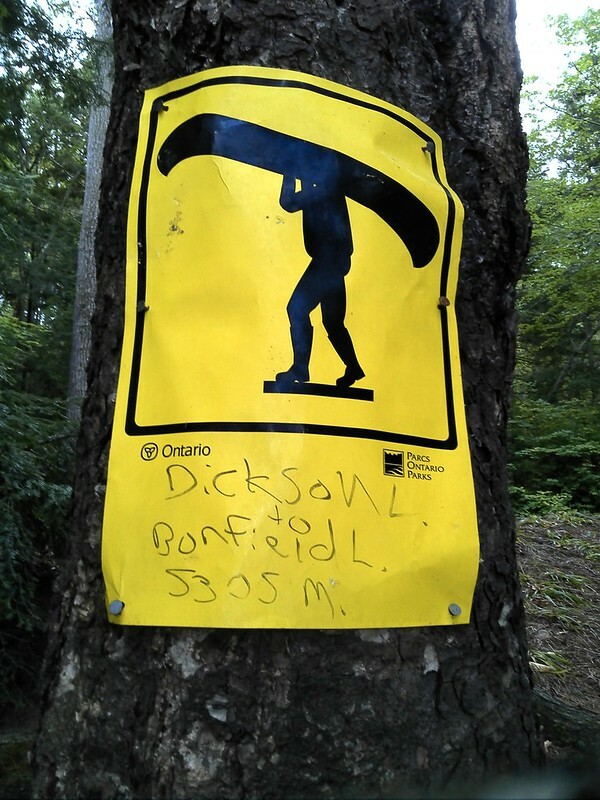 I still like to explore some places I’ve never been and for some reason I thought, “Hey you know I’ve never done Dickson-Bonfield” (temporarily erasing all memory of Martin’s statement of portage length preference). And so we set out just before 7am, having put together canoe-ready packs and loaded them and the canoe onto our rental car the night before. 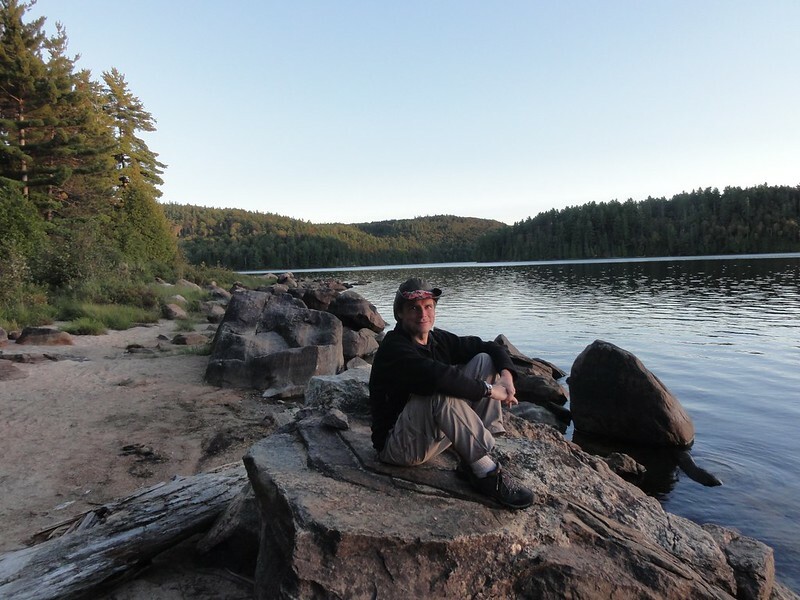 Shall Lake isn’t as close to Ottawa as Achray, but at 3.5 hours, it is closer than Temagami, Killarney or even Algonquin’s Brent and Kiosk access points. There’s no natural water slide or canyon, but there’s some good camping and it’s a popular spot in summer. Despite the less-than-enthusiastic endorsement from the access point staff, we loaded up and headed out onto Farm Lake, at 10:20am. I marked the car as a waypoint to avoid past years confusion because the access point as located by Garmin’s Basecamp wasn’t where we actually were. There’s no potable water at Shall Lake. So either fill up in town or be prepared to buy bottled water, like we did because I forgot to do the former. Farm winds its way rapidly into Crotch Lake with nary so much as a portage. We had sun poking out from clouds and variable winds hitting us from the Northwest. 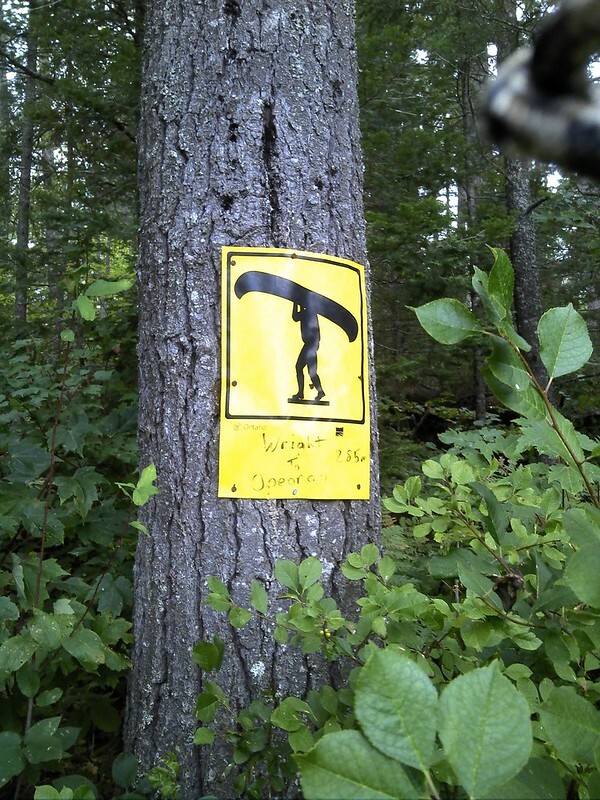 From Crotch Lake, a 1050m portage takes you into Shirley. 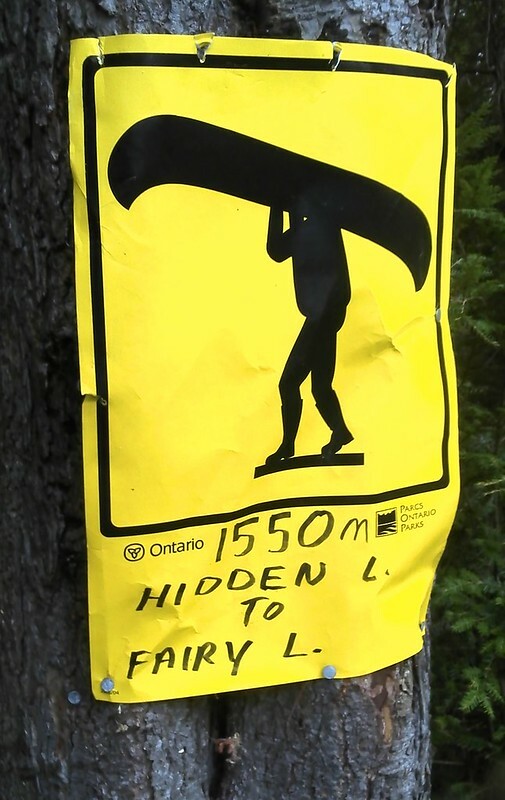 When you’re weekend warriors that don’t get into a canoe that often the first portage can be a tad jarring, especially if it's got four digits. But we managed it fairly well. It's easily located and takes you over mostly flat terrain. More jarring than the exertion, though was the fact that there were significant numbers of bugs. Slow-moving, stupid mosquitos that were easily killed, but bugs. In September. Bugs. A short paddle across Shirley Lake brought us to the 515m into Ryan Lake, which despite being quite small, has a ton of campsites on it. On the park map it looks like a smile with red triangles for teeth. 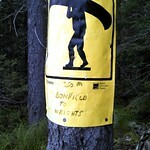 There was logging going on in the area, but we couldn’t hear it once we got to Ryan Lake. Two more short portages through Big Red and Shrew Lakes brought us to our longest portage of the day, the 2365m from Shrew to Dove Lake. 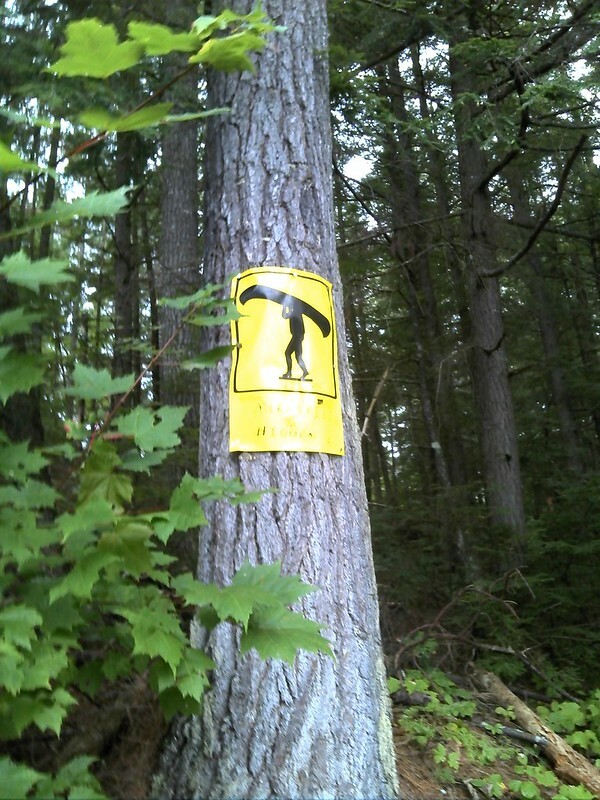 We could tell we were getting a little off the beaten path as this one had a bit of deadfall on it. And hilly. You definitely want to do Shrew-Dove, not Dove-Shrew. After that, Dove to McKaskill is marked as 40m and it does not disappoint. Nor does McKaskill itself, in which we dipped our paddles at around 2pm. 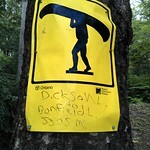 We paddled the length of McKaskill looking for a promising campsite. I’d be curious to know which sites people like. We ended up at the north end of the lake, at the same site my group found W88last time I was here, for the same reasons as then. We’d passed on all the others and were damned if we were going to backtrack. We pulled our boat out of the water at around 3pm. It’s not a bad site, but compared to our others this trip, it was just sort of ho hum. Oh — and four and a half hours, not seven. We had dinner around 6pm, as per tradition, pasta with pesto. Though this time I splurged a bit in the weight department and brought shelf-stable fresh tortellini (vacuum-packed), actual parmesan cheese and some sundried tomatoes. We had a bit too much parmesan, but two packs of the tortellini filled our bellies well. All washed down with our house red, French Rabbit Cabernet Sauvignon. And I’m glad it’s all gone. Tomorrow is going to be one hell of a day and that food pack needs getting lighter. Brutish. That was a brutish day. When I do the math I think it will tell me we travelled about 28km today. My rough estimate suggests it included 12km of portages. My shoulders are screaming at me. And I’m exhausted. Well and truly. I shall begin at the beginning. Which was 6:00 am. Breakfast was of the ‘hurry up’ variety. Instant oatmeal sprinkled with granola and dried cherries. And coffee. Never forget the coffee. We were on the water for 7:45 or so, no doubt because we were a bit wired about all the traveling we had to do today. But as Martin said, “We’ll just get it done, as we always do.” Brave words. For someone who'd seen the portage count. 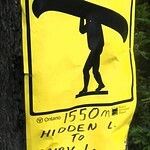 After a short paddle (a sort of theme for today) we did 430m into Hidden Lake. 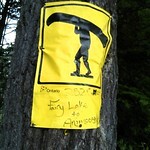 Another short paddle brought us to the 1530m into Fairy Lake. 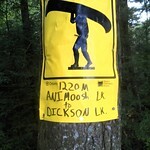 Another… wait for it… short paddle brought us to the 2825m into Animoosh Lake. Animoosh is quite a small lake - surprise - so it wasn’t long before we got to the 1220m to take us into Cisco Bay on Dickson Lake. On this portage we caught our first and only sighting of people today. Three dudes sharing a canoe if not the carrying duties. We didn’t know where they were going but we reckoned if they took a special trip across each portage just for the fishing rods, it was going to take them a while to get there. The portages were all in pretty good shape. The terrain not all that arduous. There were a shocking number of mosquitos (for September anyway) but apart from that it was just a long walk in the woods with canoes. We reached Dickson Lake at around 11am. But we weren’t done yet, oh no. There was a stiff north westerly wind slowing us down as we scraped out of Cisco Bay toward our next portage. However despite a bit of a bouncy castle experience, at 12:15pm we landed at Dickson-Bonfield. We reckoned it would take us 90 minutes at our usual pace. We planned to pause after 45 minutes and switch loads before continuing. The first bit of Dickson-Bonfield follows a cart trail — wide, flat and very inviting. 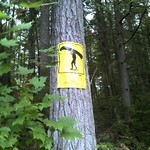 But after about 800m the cart trail turns north and the portage continues east. And continues. And continues some more. The bugs were bad so our scheduled half way pause was possibly too short. Eventually just shy of 2pm, we reached Bonfield Lake. Which is quite small and nondescript. Sort of like almost every other lake we’d seen that day. And there are no campsites on it so you have to keep going. Which we did. After our lunch time ration of two peanut butter and jam wraps. 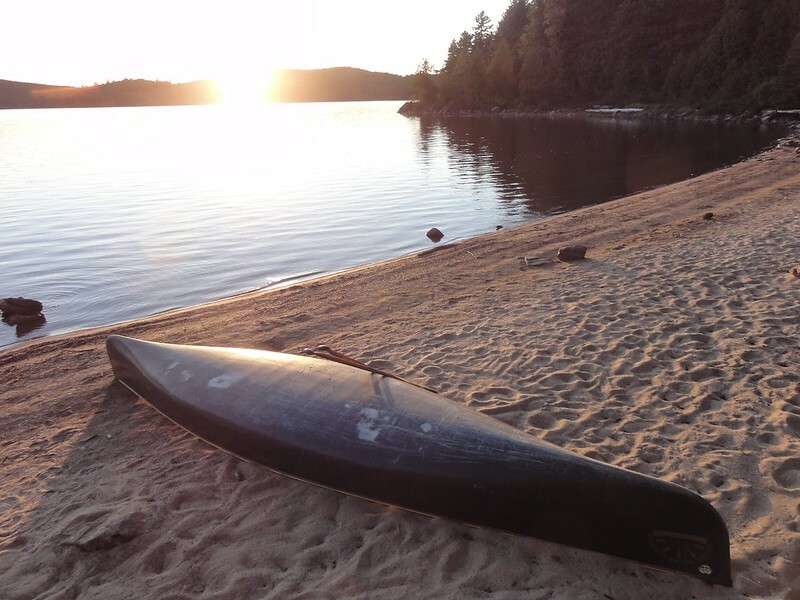 The next two puddle hop portages into Wright Lake and Opeongo’s East Arm were mercifully brief affairs — each less than 300m. But we weren’t done yet. I’d originally had us camping on the East Arm, but my Googling had suggested Annie Bay was a nicer spot. And contiguous paddling! So we paddled a short stretch across the wind, down a very wavy Opeongo. But as soon as we passed through the narrows into Annie, the water transformed. There were no waves, and only a hint of wind. We paddled to the site on the peninsula on Annie Bay’s east shore and called it a day, just before 3pm. The sky had been overcast all day. But apart from scattered showers earlier in the morning, we'd been rain free. We set up camp, broke out the scotch and Ibuprophen and made dinner. The site is really well situated. There’s lots of tent pads and great views south, north and west. But it’s clearly the go-to place on Annie Bay. It was very picked over and had an odd bald spot that looked like it was recovering from a root fire some years ago. We had a smidge too much dahl, and I would say that the crisped onions I found at Bulk Barn weren’t good enough to warrant the additional weight. Though we did eat them. We sat around Martin’s fire for a bit, and then staggered into the tent around 9:30pm. This is my new favourite lake in the south part of Algonquin. Our site is one of a half dozen lining the north shore of this lake, I'm guessing because also lining the north shore is a lovely, dun-coloured sandy beach interspersed with huge boulders. See, I don't normally like beach sites because sand gets everywhere and it's harder to fill up the vinyl sink with lake water for filtering. But here you get the best of both worlds. Booth is clearly popular with a lot of people. 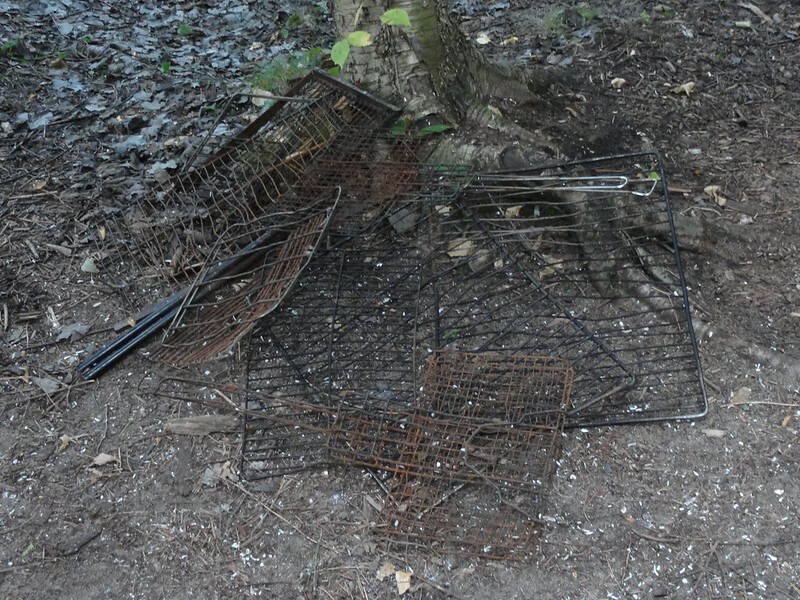 This site is showing signs of use, including many two ply trilliums and some form of museum of or shrine to portable camp grills. 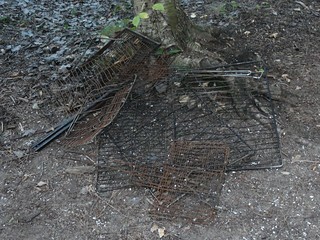 There were about six of them piled in a heap beside the fire pit. We've had a bit of luck with the weather, today, and finding this site at the end of it has been a perfect counter melody to yesterday's slog through the woods. But I'll start from the beginning. We were on the water at 8:20, despite rising a bit late, after our traditional, utilitarian breakfast. And Ibuprophen. I do love me some Ibuprophen to start my stiff body up after days like yesterday. Strong winds from the north whipped up waves on Annie Bay before we’d even made our coffee. By the time we set out there were white caps. What a difference a few points on the compass make. It made our trip south on Annie Bay a bit more like surfing than paddling. At times, the GPS clocked us at 9km/hr. Our normal cruising speed is 6km/hr. Annie Bay feeds the Opeongo River by way of a dam. 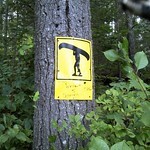 The 90m portage around it was first on today’s light agenda. When we were on it, this stretch of the Opeongo River was flat and shallow. We tickled the bottom of our canoe a few times over the first stretch. There wasn't much current to speak of and only the tiniest of swifts, all of which were too shallow to paddle. The other four portages along this stretch of the Opeongo borrow from some form of road. It’s not marked on the park canoe route map but I’m guessing it’s some form of service road for the dam. In keeping with the notion of never traveling the same river twice, some of the portages aren’t where they say they’re supposed to be on the map. And they start further away from what you or I might term Obvious, portage-requiring obstruction so keep your eyes peeled. Or you could be in for more adventure than you planned. We did one beaver dam portage just before the river widened out into Tattler Lake. We saw the rental cabin on Tattler Lake, which looks quite cute, although it might be a bit bug prone in high summer. You can rent this one and the one we saw on Kitty Lake for $58 per night for the first person and then $12 per night for each other adult. I caught our only glimpse of four-footed, non-squirrel wildlife on Tattler. A large beaver who slapped the water's surface before diving under water. Startling but only the most fleeting of sightings. Oh well. Maybe next trip. We were on Booth by about 11am, squinting as the sun sparkled on the water. It felt warm. Probably in the mid teens. The moderate winds more or less favoured us, coming abaft of the port beam, to use the argot. We saw more people on Booth - three parties - than we had in the last two days. It’s easy to see why. The lake is generally booked solid on weekends all summer long, according to the ranger at the access point. Small wonder. It’s within easy reach of the Shall Lake access point, it’s gorgeous and perfect for kids. We paddled past one group of young men, circled up and doing stretches. They assured us they were not on a yoga retreat. Later that night as they started their (apparently mandatory) young manly bellowing, we rather wished they were. We put in at our campsite just before noon. I felt a bit sheepish that yesterday had been so long and today had been so short. Perhaps we could have stopped on Dickson and done Dickson Bonfield today instead, I reckoned. However that would have made yesterday into a short day and at least today we could hang around in the sun and warmth. Which is what we did. After we set up camp. Our site’s tent and kitchen area is obscured from the lake by a row of cedar trees. We decided to defy the rain gods by not putting up the tarp. Then we collected garbage. The people before us appear to have had a thing for cigarettes and grape Koolaid. But that stuff was corralled around the fire pit. The toilet paper was another matter. Public service announcement: People please - the park staff put a lot of effort into putting thunder boxes on all the campsites. Use them for crying out loud. We lounged around most of the afternoon. Martin went for a swim. I dipped my body briefly in the water. We dried our clothes, shoes and socks and - get this - had a second cup of coffee. Dinner will be an experiment. Another Laurie-Ann March recipe. Couscous this time. Wish me luck. The couscous worked. The quantities were good. A cup of couscous, and vegetables as per March's recipe. And we even added the left over parmesan to it and it wasn’t disgusting. I think I will work my way through all of Another Fork in the Trail. Sunset was gorgeous. Stars were stunning. Sleep now. Today’s theme was lingering around trying to squeeze every possible minute out of our trip. We didn’t have far to go, had every reason to believe Sunday’s weather would continue, and were guaranteed not to get any more of this wilderness-y camping stuff until next year. So we started off by sleeping in. It was, in fact, 8am before both of us were up. The next delaying tactic was, of course, pancakes for breakfast. This year, rather than the fry one, eat one approach I used to take, I rigged up a sort of warming table, using the left over boiling water from the coffee in the pot, a bowl on top of it and a lid for the pot. It seemed to work. Our pancakes were still hot and we got to eat them all at once, seated leisurely on the rocks on the beach. The leftover dried cherries made a nice addition. We were on the water by around 9:45 or so. We didn't have far to travel, and had two short portages back to Shall Lake. Wind was present, but not a factor as we headed south and east toward the 550m from Booth to Kitty Lake. We passed another rentable former ranger cabin on Kitty Lake. Hard to say which of Kitty and Tattler is the better choice. We saw two parties along this short stretch of park. 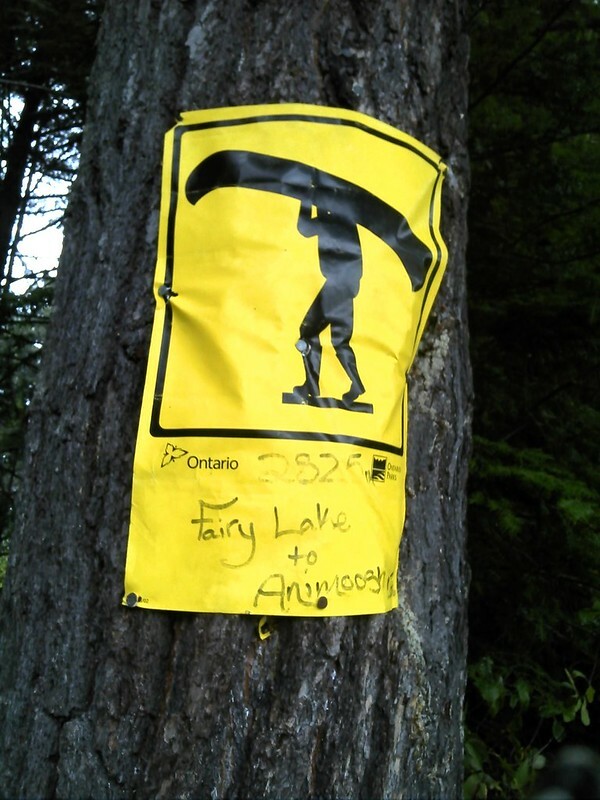 Both the first portage and the second - marked as 90m between Kitty and Farm Lake are straightforward and over easy terrain. But for the fact that silt, sand and reeds have turned the east end of Farm Lake into a sort of beaver meadow, where the topo and the park map both show open water, getting back to the car was straight forward. The channel through the beaver meadow is along the south shore, by the way. We arrived around 11am. We chatted briefly with a group of Americans off to spend a week base camping out of Ryan Lake. Went back to the permit office to say ‘nanny nanny poo poo’ to the ranger who doubted us. Loaded up and were on our way. Is there something about the way the wind hits a car heading east – as opposed to west — that makes it impossible for foam block tie-downs to work properly? The setup didn’t totally fall apart like last year but there were moments where they wobbled and flopped over. We stopped three times to readjust, re-tighten on our way back. On the upside we stopped at the Wilno Tavern for some proper Polish fare. Sausages for Martin, Pierogies for me. We were home just after 3pm. Done for another year. Where should we go next year? Be the first to comment. Impress your friends. Crush your enemies. Don't put your email address in here or something will harvest it for spam. But do tell me where you're from.